You might recall that late in 2011, a bit of a "scandal" erupted over Carrier IQ. The software was said to be embedded inside as many as 150 million handsets, rumored to be capturing every keystroke. At the time, Samsung said that 25 million of its handsets contained some part of Carrier IQ. HTC revealed during the same time period that 6.3 million of its phones had Carrier IQ installed. During this period from December 2011 to January 2012, smartphone users bordered on the edge of hysteria and paranoia as they wondered if data involving their calls, texts and browsing history was being captured and transmitted to unknown third parties. Most carriers ended up removing Carrier IQ on the handsets they sold to the public. According to a report published today, AT&T has purchased some of the software and staff of Carrier IQ. 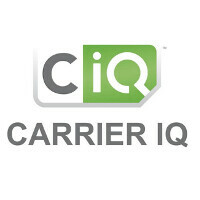 The acquisition seems to be a final dismantling of the company as the Carrier IQ website is no longer in service. According to an AT&T spokesman, the nation's second largest carrier had been using the CIQ software as a way to "improve the customer’s network and wireless service experience." T-Mobile is another U.S. carrier that employs Carrier IQ, although it isn't known whether that will continue considering the transaction. While an AT&T spokesman has confirmed the acquisition, the price of the purchase has not been mentioned. The spokesman told TechCrunch, "We’ve acquired the rights to Carrier iQ’s software, and some CIQ employees moved to AT&T." The CIQ hysteria pre-dated the revelations about the NSA's secret phone call monitoring by about 18 months. Sooo...this has GOT to be good for their customers, right? How is this not a conflict of interests? Att will have information regarding its customers and potential information of other providers, information that will ultimately prove harmful for all. I am going to guess that when other carriers stopped doing business with them, that data was destroyed. Carriers don't act like entities that would "trust" that their data (your data) is disposed of properly by a third party since that data is very valuable to them. Of course, the carriers kept everything from that data mining operation, and ATT will surely resurrect the program.